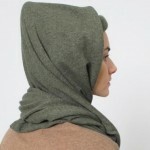 The NEWEST idea in Head Warmers, which WILL NOT RUIN your hairstyle! From the creator of “Do Your Do” and “Have Your Hair and Eat It Too,” comes the Best Idea in Winter Headwear in Decades. The New Cranium Cradle, from New Ideas, Inc., will keep you toasty warm Up Top on even the coldest days, Without Mussing Your Hair. Hello from New Ideas, Inc.
It’s just that Simple! Your head will never be cold again, but you’ll never have “Hat Hair” again, either. Complete with our proprietary and innovative Insulated Crown design, as well as a Roomy Cradle and Stylish Color Ways, the Cranium Cradle from New Ideas, Inc. is the perfect solution to the age-old problem of finding a Warm Place for your head Without Ruining your Hairstyle. And, it is delivered to your door Complete with our Balloon-Omatic Inflation Device – Included. Just how “Hot” do you want to look this winter? Available in a wide Variety of Colors, from Warm to Hot, and from Cold to Icy, to suit a broad range of Social and Professional situations, the Cranium Cradle from New Ideas, Inc. will have you “Stylin’” every time you step outside. Just pick the Color way which suite your personal style, Pump It Up, and Go. Simply choose the color and size of your Cranium Cradle from New Ideas, Inc. right now, then click the Add To Cart button to begin feeling Warm and Stylish every time you step outside, no matter the weather out there. Or, Grab a Couple for the Entire Family – And SAVE – with our Special Introductory Offer: Buy FOUR Cranium Cradle Head Warmers today and receive FOUR MORE ABSOLUTELY FREE. Receive 8 at No Extra Charge. Disclaimer: As we’re sure everyone has realized by now, there is no product called the Caranium Cradle, just as there is no company called New Ideas, Inc. We’re just trying to have a bit of fun here folks, while at the same time showing some creativity. However, we are very serious about the work we can do for you. If you enjoyed our little presentation here, feel free to get in touch with us to discuss your Sales Page Needs.